I have been writing about LaLa since it’s Used CD trading times and through their dramatic change in business model. Like many other LaLa users, I have been wondering exactly how would Apple incorporate the LaLa service (basically streaming music from the “cloud” for free once and unlimited if you pay 10 cents per track) into their iTunes strategy since they purchased the Palo Alto-based company back in December. Not unexpected to see LaLa (as a separate entity) shutting down. No surprises there. What is a surprise is that they are crediting users for all web song purchases. I assumed that there would be “something” ported over into whatever incarnation there may be on iTunes in connection with any account you may have there, to extend the experience. Now, although I am not losing money on this change, I have wasted time… If I wanted to purchase the same songs for streaming (assuming that they are offered in streaming format and that they are offered at the same price through iTunes or whatever Apple’s new service ends up being called), I am going to have to scroll through my 9,000+ library to figure out which ones are web songs that I care about and which are downloads (that I keep anyway). Why did they do things this way? Perhaps developing the technology to bring “in-house” the collections of current LaLa wasn’t worth it, in Apple’s mind (with Apple’s new role as the IBM of the 21st Century, it could be the case). 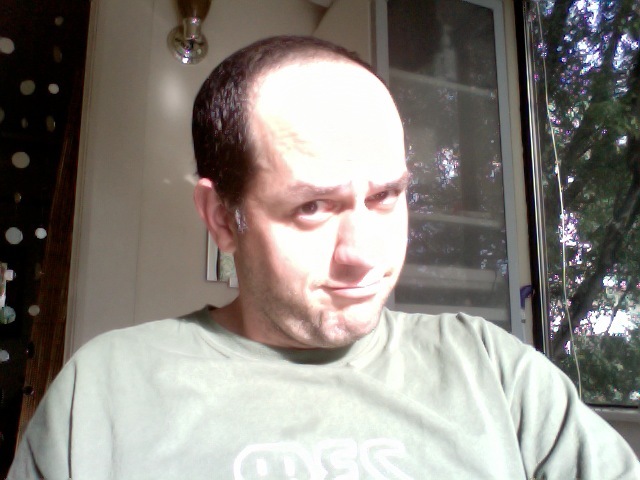 Porting over data from a “handful” of fanatic users like myself wasn’t worth their time… and they may be right, sadly. While I don’t feel “betrayed” as I did when Last.FM sold out to its parent company CBS, I do have VERY mixed feelings about this move. I know Apple will come up with something in June and that something will likely have its home in the “cloud” as FastCompany accurately assesses: think “web-based iTunes or something”. I keep thinking: the only way you can REALLY control the way things work for you is you do them yourself. But then, you will find yourself spending time and energy developing/hosting solutions to make things work your way. Is it worth it? Probably no. Does it dissapoint me when I things change on me overnight? Still does… anyway… End of rant! Happy Friday to you all! 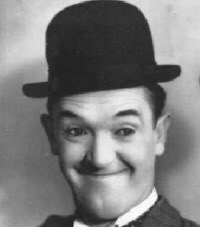 My friend Karen thought I looked like Stan Laurel (below). What do you think? Time passed and we realized that was happening, but not to the extent that we were hoping. While some people would visit and sign up for our social networks, something else that was VERY interesting was going on. If we shared a link to an interesting discussion going on in, say, TuDiabetes and included the title of the discussion on our Diabetes Hands Foundation Facebook page, if the topic was interesting, the discussion didn’t depart the page. Fans (or “likers“, I guess, would be the new term) on the page would engage in discussion DIRECTLY on the page and not leave Facebook at all. Think of it: the convenience! You simply have to monitor one site (or few sites, maybe), keeping an eye on your main feed, and relevant elements are presented to you, on which you can jump and participate commenting about them, liking them or sharing them with others. It’s simple… and it’s brilliant! Something similar happens on Twitter, though perhaps not in a way that is as easy to visualize because Twitter is less structured. 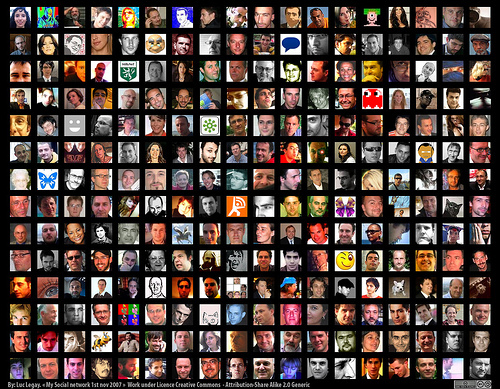 So, next time you are wondering whether your community should live on a space separate from Facebook and Twitter or be a part of these growing spaces, don’t think either or: you may already have a community going on in two or all three places.